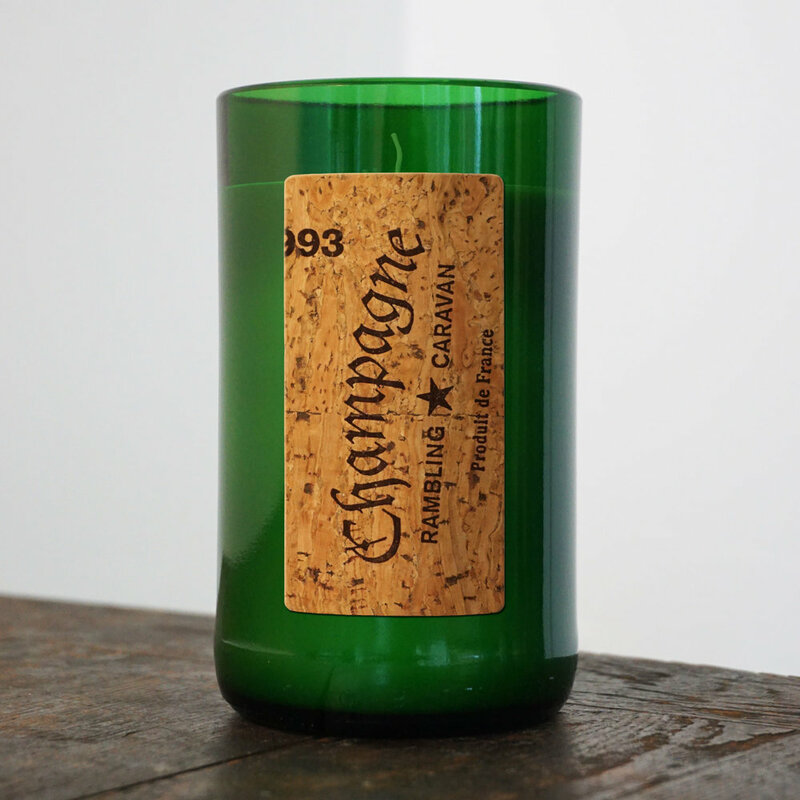 Graphite & Lead was commissioned to design the outer labels to be used on a line of decorative scented candles. The scents for the candles were based on wine ingredients and the candles were to be poured and sold in glass containers made from recycled wine bottles. We designed and created a series of labels that referenced the graphics you find on the corks pulled from wines. The work was for a new home décor business being explored which was to have travel themed products and branding. Labels shaped and styled like wines from around the world were developed. Each one was based on a different well known wine region and the specific candle wine scent. The labels were letterpress printed on a material made of actual cork to finish the concept. The client was very pleased with the final designs. This series was used along with product concepts done by others, to explore the new home and gift business plan. As of now, their new business is on hold and the product line has not been produced. That all said, we very much enjoyed our experience working with this client and felt the finished graphic design, illustration and lettering turned out well and wanted to share the project here.